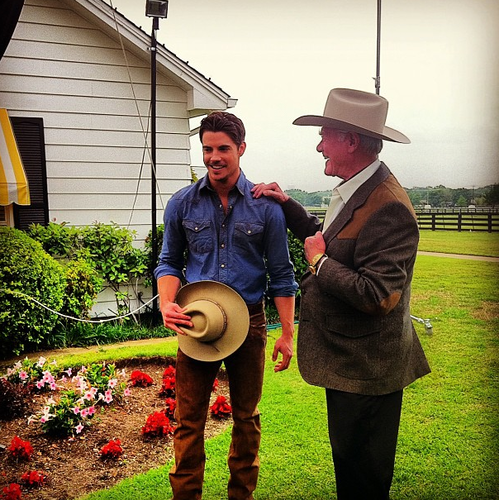 Josh and Larry Hagman. . Wallpaper and background images in the Josh Henderson club tagged: josh henderson larry hagman dallas actors fellows. 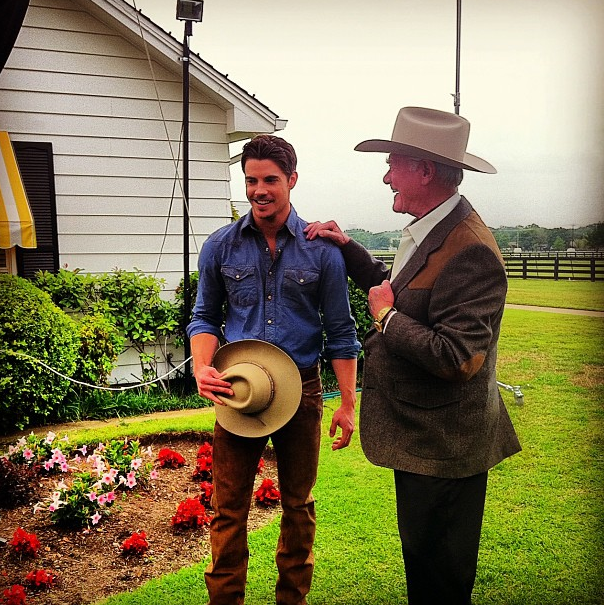 This Josh Henderson photo contains barqueiro, livorno, panamá, marinheiro, skimmer, chapéu de palha, boate, leghorn, chapéu, palha, velejador, chapéu panamá, chapéu de campanha, chapéu da campanha, tirar chapéu de aba, chapéu da borda do snap, and chapéu de aba snap. There might also be wrangler cavalo, wrangler, wrangler de cavalo wrangler, and cavalo wrangler.